We are a leading Manufacturer of ashizawa 300 grinding and dispersing machine, innovaz lm 60 dispersing machine, horizontal im disc mill, ashizawa im 0.5 nano bead laboratory mill and bead mill from Chennai, India. 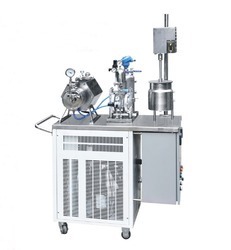 Ashizawa 300 Grinding and Dispersing Machine of Pharmaceuticals The comminution or desagglorneration of active pharmaceutical ingredients (API) is called micronization and brings about several advantages. The increase of the particle surface caused by the comminution results in a considerably better dissolution rate and bioavailability of the agents and therefore the APIs act faster. Due to the increased bioavailability a lower amount of APIs is required. 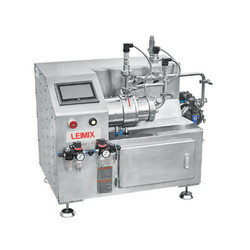 LEIMIX has shattered conventional wisdom in mixing, giving rise to totally new technologies.The thin-film, spin methodology ensures sharp distribution of nanometer-sized particles that has been impossible with conventional mixers. The circular wall of the dispersion wheel has a compact circular hole, and the wheels are driven by a special high-speed motor to move ma high-speed circular motion with a maximum linear speed of 70m/s. The slurry that enters the dispersion chamber is quickly flung out of the centrifugal force of the spinning wheel, hitting the wall of the barrel.On the other hand, the narrow gap between the wheel and the wall of the barrel can produce a strong shear effect on the retained slurry, and the combination of these two functions achieves the dispersion of the aggregate in the slurry. The slurry needs to be retained for a certain amount of time in the dispersion chamber, so that the uniform distribution of the pulp in the cavity can be realized. After treatment, the slurry flows out from the top. Continuous agitator bead mills with horizontal disc agitator, With the NIZZOLI Air discs grinding system, the movement of thegrinding media between the disks is activated and optimized. This leads to a high power input and a grinding efficiency withlow sp. The new generation of NIZZOLI Air - agitator disc grinding was specially developed for this series. 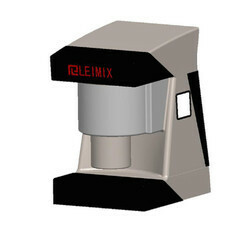 Leading companies have been relying on LEIMIX NIZZOLI Air disc technology for many years. The concept assures reduced specific grinding costs due to higher flow capability and long service life. It offers numerous benefits for various applications. The NIZZOLI Air disk agitator shaft activates the grinding media with high intensity through the entire grinding chamber. Highly efficient separation devices that are adapted to your application are available for separation of product and grinding media. This ensures that the mill is reliably operated with high viscous products as well. It was developed for universal use. 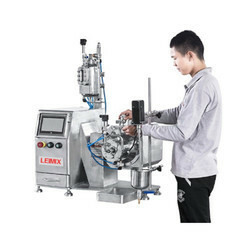 The new generation of LEIMIX agitator bead mills covers the entire range from dispersion to ultra-fine grinding. It is suitable for grinding bead diameters from 0.3 to 3mm. The newly developed grinding system with its large screens allows processing with high throughputs and of high-viscosity products. One of the strong points of the NIZZOLI Air is the extremely even distribution of the grinding beads in the active grinding chamber. This allows stable and effective process parameters to be determined quickly and easily for the pass and circulation modes. Higher productivity from smaller mill volume The reduced energy requirement and the option, due to high quality of mill lining materials, to increase the power input entail an enhanced productivity from a smaller mill volume. The SMF separation efficiency and the NIZZOLI® Air grinding discs, counteracting a compression of beads, enable high production rates. Due to the combination of high productivity, minimized energy requirement and outstanding service life of the individually exchangeable mill chamber components, it is extremely economical to own a IM Horizontal full volume agitated bead mill. Further development of the worldwide successful grinding system "MoliNex" The bead channels ensure the efficient acceleration of the grinding beads along a precisely defined path. During operation, each of the bead channels creates two efficient grinding circuits between the agitator discs that work in opposite directions. Ashizawa IM 0.5 Nano Bead Laboratory Mill for Product Development and Production of Smallest Batches Wet grinding and dispersing with laboratory agitator bead mills of the IM system The compact, universally applicable laboratory circulation mills of the MiniSeries impress with easy handling and the use of small quantities from 0.5 to 10L for product sizes down to the nanometer range. Within a short time it is possible to connect. The compact, universally applicable laboratory circulation mills of the MiniSeries impress with easy handling and the use of small quantities from 0.5 to 10L for product sizes down to the nanometer range. Within a short time it is possible to conduct many Mats with low product loss and significant results. You are saving time and costs for your product development. The laboratory mills of three different material designs: The ZrOg and PU enable metal free fine grinding of your high quality products. All grinding chamber parts of the SiC or ZrOg. Finest wet grinding technology— the laboratory mills of the Ashbawa° IM system are an investmeM in the future for new product developments of different fields of application of pigmented ink jets, technical ceramics, cosmetics, pharmaceutical applications and nano-scale high-tech products. The improved centrifugal separation system of the worldwide known peg grinding system enables the use of very smell grinding media for grinding and dispersing of minimal product batch quantities. The NEW Scale-up-cable "Micromedia" Laboratory Agitator Bead Mill. This means that a scale-up-capable solution for small product batches is now available for development tasks in the nanometer range.